As we are now weeks into 2015, it’s time to give some thought as to how you are going to market your new classes, programs and fundraising events in the coming months ahead. With a new year comes new trends and while some things are likely to stay the same, we must keep new trends in mind. Below, are two marketing trends that every Jewish organization can use to stay ahead of the curve in 2015. Can you guess why certain websites or blogs are more popular than others? Sure, content has a bit to do with it, but in 2014—and certainly in 2015—a lot comes down to the social media accounts. For example, if a blog is getting15,00-plus visitors a month, it’s not because the content or advice is better than everyone else’s. More often than not, it’s because this person or website has a large social following. Analysts are predicting (see here) that leading companies will start seeing even more value in social media, and they’ll spend thousands of dollars a month on building up their social media accounts. Decide NOW how your small or large organization can better utilize online tools and social media to drive users to your website, and by extension, to your classes, Shabbos tables, trips to Israel, etc. Utilize the free marketing tools that are out there. Optimizely released a free plan; and even products like Hellobar are available for free. The number of marketing products that are free will drastically increase over the next 12 months. Let’s face it. Small and medium businesses can’t afford to pay for them. And so, companies are willing to give you their products, albeit on a limited usage base, free because they know you’ll eventually grow in size. And when you do, they’ll end up charging you. Marketing tool providers are now basing their decisions on lifetime value metrics versus going for the short term income. This should benefit a lot of small and medium businesses…as well as nonprofit organizations such as yours! 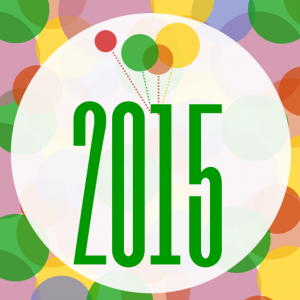 How do you plan on improving your marketing in 2015? Share your answer with us in the comments section below.